This post has been sponsored by Mirum. Small acts of love can mean a lot for our planet. Whether it’s planting some new seeds in your garden, staying away from plastic straws/utensils or maybe just bringing your own re-usbale bags to the grocery store, small acts can make a BIG difference. 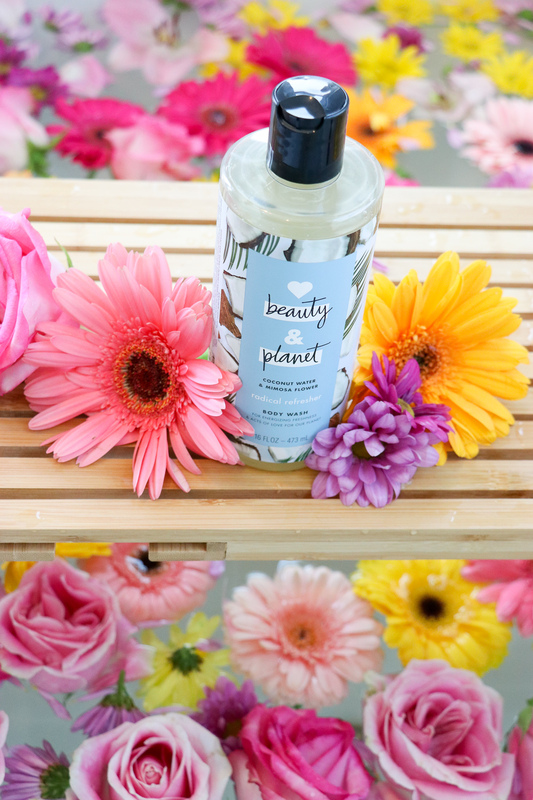 That’s why I’m celebrating Earth Month this year with Love Beauty and Planet! I always make sure bring my own bags when shopping, and to be honest, I actually love finding cute reusable bags to keep in my car. It both fashionable and eco-friendly! A double win! You can see the super cute one I got from CVS below! 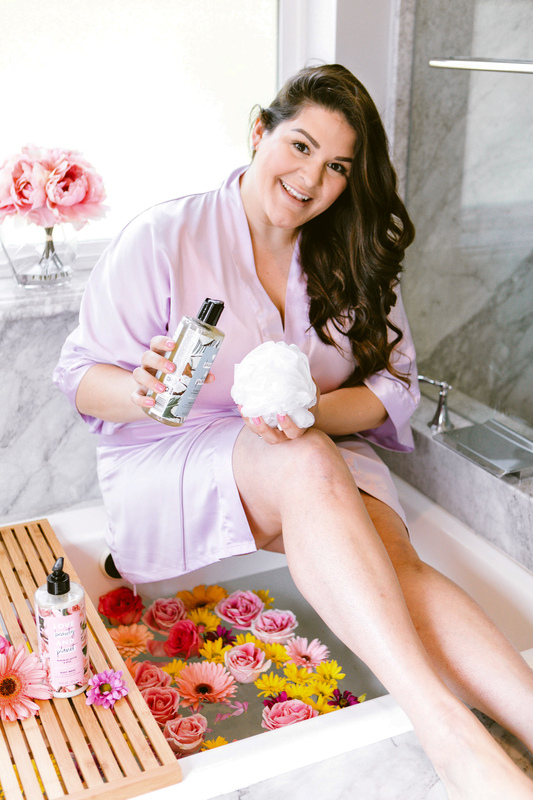 I’ve also recently started incorporating for eco-friendly and green beauty products into my everyday beauty routines. 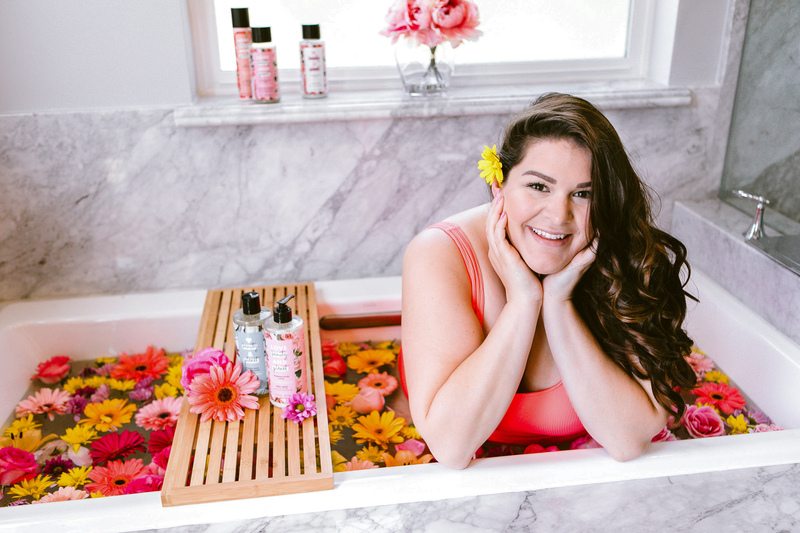 I have found some absolutely incredible products that I can’t wait to share with you guys below! 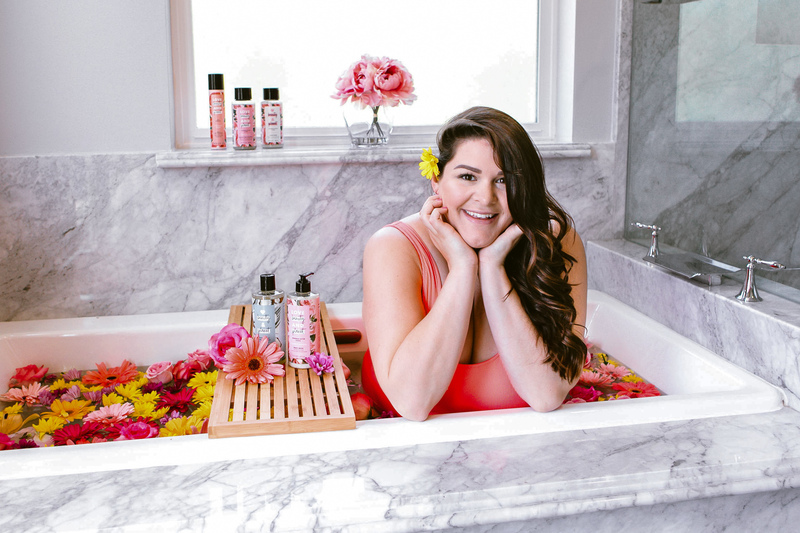 If you read my last LBP post, you already know how much I adore the Love Beauty and Planet Murumuru Butter & Rose Blooming Color Shampoo and Conditioner. The smell is absolutely amazing and makes my entire bathroom feel like a magical garden. Both products have really helped to keep my color treated hair super vibrant and moisturized. I could instantly feel and see a difference in my hair after the very first wash. They are infused with organic coconut oil and Murumuru butter and scented with Bulgarian rose petals. Could you think of anything more divine?! 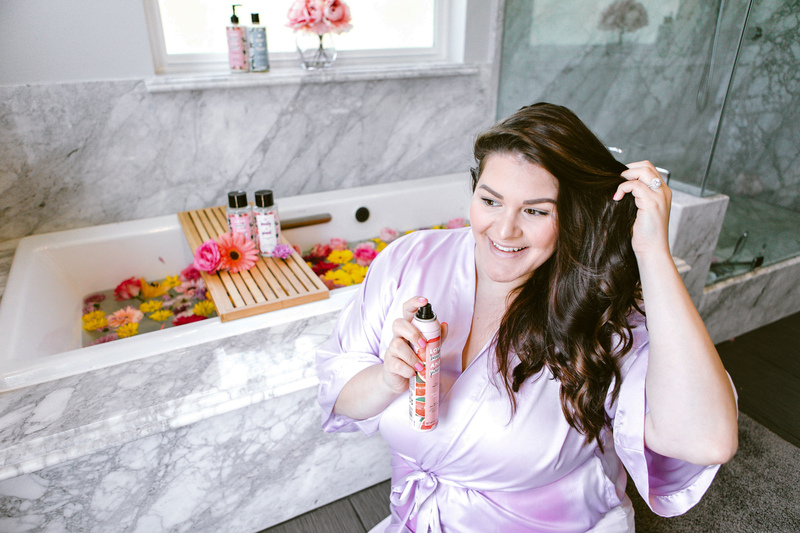 I just recently discovered the Volume and Bounty Juicy Grapefruit Dry Shampoo and it is a total game changer. As someone who tends to get oily roots, this baby not only gives me back my freshness and volume, but it add the most incredible scent to my hair. Not to mention, it’s super easy to use, just spray, massage and brush! It’s also safe for color treated hair, vegan, recyclable and cruelty free! Along with the dry shampoo, I also picked up a new scent of their body wash. I have been using the Murumuru Butter & Rose Formula, one of my all time favorites. 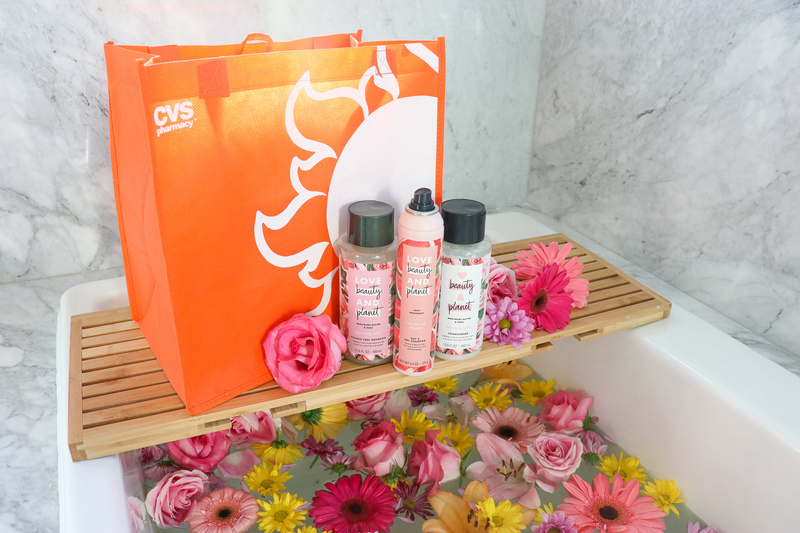 But while browsing the aisles at CVS, I saw this baby – the Coconut Water & Mimosas Flower Radical Refresher. The name alone makes me feel like I’m on a tropical beach vacation. 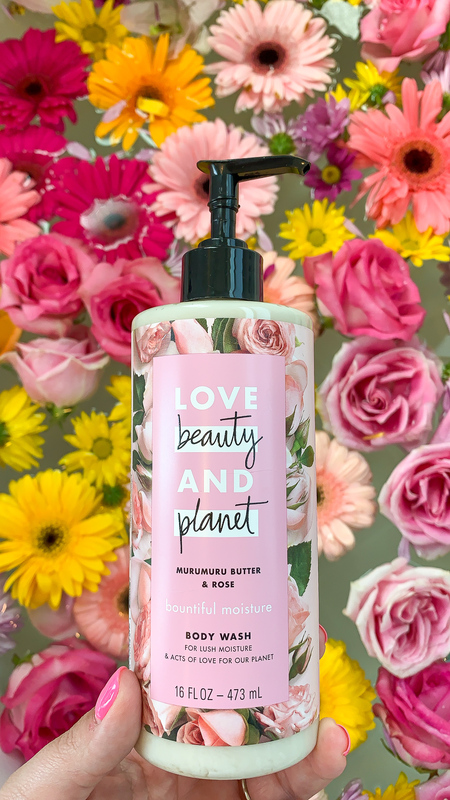 Like all the other products from the line, its make from ethically sourced and plant based ingredients – another Earth Month win! It’s also formulated with organic coconut oil and always leaves my skin looking, feeling and smelling absolutely amazing! 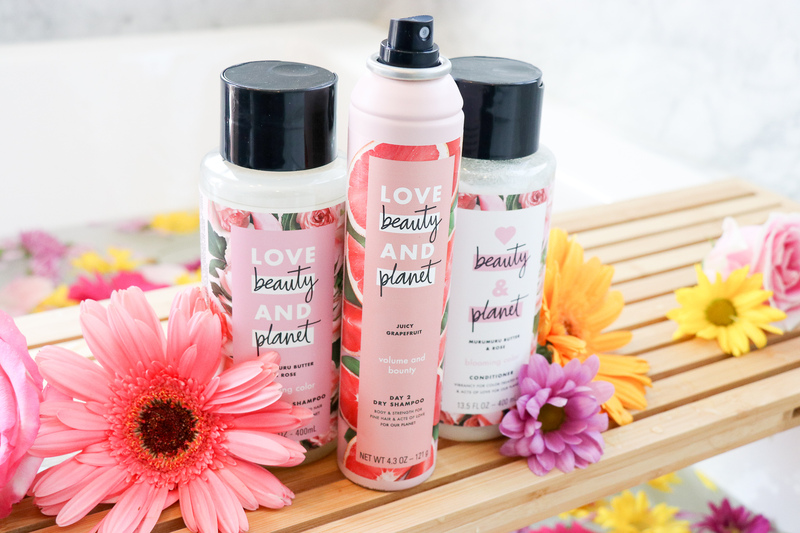 And since we all love a great deal form 04/14 to 04/20 you can earn $10 in Extra Bucks with your CVS cards when you spend $25 on select Love Beauty and Planet hair care products!